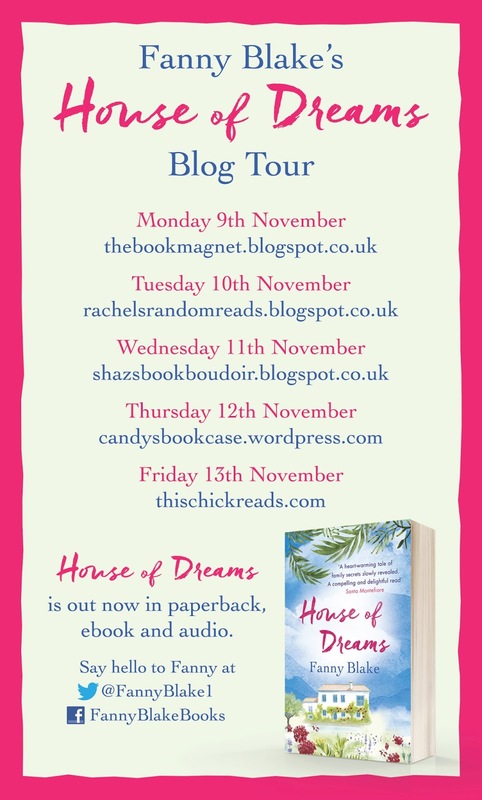 I'm delighted to be the first stop on the House of Dreams Blog Tour with my review of this gorgeous book. Many thanks to Elaine Egan from Orion for sending me the book and inviting me to take part in the tour. Make sure you follow the tour to find out what other bloggers thought of House of Dreams. 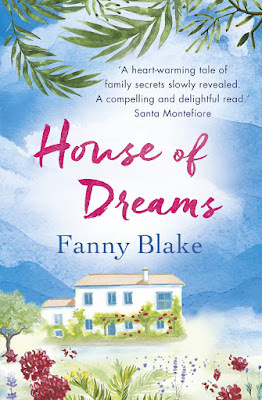 For my thoughts on House of Dreams, read on for my review. At their family hilltop villa, Lucy awaits the arrival of her brother and sister for their mother's annual birthday party. Although this time, their mother won't be there. Struggling at Malaga airport with her fractious four year old, Jo has already lost her case and is dreading arriving without its precious contents. For Tom, returning to Casa de Sueños stirs up all sorts of memories - then a beautiful face from his past appears . . .
Over one long, hot weekend, past secrets will spill out as three siblings discover more about their family and each other in this gorgeous, warm and witty new novel from Fanny Blake. The cover of this book is so beautiful and inviting that I couldn't wait to jump inside and visit Casa de Sueños: Hope and her family's very own House of Dreams. 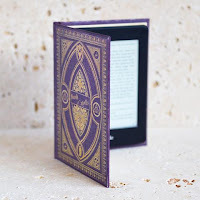 The story is told over 5 days with the book starting on Thursday as Lucy, Hope's youngest daughter, is preparing Casa de Sueños for the arrival of her siblings, Jo and Tom, and other invited guests for Hope's last birthday party. Hope will be missing from the celebrations (in more ways than one) as she recently passed away in England, so her family are gathering to say their final farewell and scatter Hope's ashes. We then meet Jo, the eldest of the siblings, and her 4-year-old daughter, Ivy, as they arrive at Malaga airport waiting at the carousel for their luggage. Then the moment we have all dreaded as the final case belly-flops onto the carousel and it's not Jo's. Meanwhile, Hope's middle child, Tom and his wife Belle are en-route to Casa de Sueños with their two teenage sons, not forgetting Ferdie, Belle's miniature dog accessory. So the scene is set and when all three siblings are together I got the impression that they weren't terribly close as everything feels a little fraught and awkward. It doesn't help that Jo's case has gone missing and Belle is already asking for Hope's ring. As the week goes on and more guests arrive for the party, we get to know the characters and I didn't realise how much I cared for them until Hope's ashes were scattered and I felt myself getting a little emotional. Then as Hope's secrets are revealed, the siblings grow closer together and I felt the family becoming a very strong unit when the book draws to a close on the Monday. Sometimes I felt I was eavesdropping on a very personal moment in the family's lives but that is because of the emotion that this book evokes. I felt part of the family and loved how the family emerged at the end, almost reborn. There is a profusion of witty observations in this book to lighten the mood along the way. I don't want to spoil the book by sharing them, but, as one who has emerged from the hairdresser ready to fight in the English Civil War, I appreciated the description of Belle's haircut as evidenced by my snorts of laughter. This is a wonderful book to lose yourself in. Although it is a sad occasion it is a celebration of Hope's life and as her life is slowly revealed we come to understand some of the decisions she made. As the cold winter nights draw in, this is a book to really warm your heart. I received this book from the publisher, Orion, in exchange for an honest review.